When designing and constructing an aboveground storage tank, there’s a selection of materials to choose from. Some examples of materials used in storage tank fabrication are plastic, concrete and steel. Steel tanks are widely used especially in residential, commercial, and industrial establishments because of their strength and longevity. Many types of liquids can be stored in steel tanks, including potable water, rainwater and wastewater. Custom-fabricated steel storage tanks, like welded steel tanks, are ideal for storing highly corrosive liquid such as oil, diesel fuel, petroleum, and other petrochemicals. Welded steel tanks are highly resistant to rust and corrosion, which makes them suitable for water storage. Protective coating, such as epoxy or zinc, is usually applied on the surface to extend the life of a steel tank and prevent corrosion that may contaminate the liquid stored in the tank. Periodic application of coating or lining will increase a storage tank’s rust and corrosion-resistant quality. Welded steel storage tanks are also able to withstand natural disasters and other environmental factors like heat or cold, UV rays and fire. They will not easily bulge or warp when exposed to extreme conditions. Welded steel tanks are also leak-free, ensuring that the contents stay safely inside and remain in good condition. Welded steel tanks require minimal maintenance and repair. Unlike other storage tank fabrication materials, welded steel is non-porous so it is less prone to cracks or leaks and take longer to deteriorate. This characteristic makes welded steel tanks ideal for storing high volumes of liquid. The presence of cracks weakens a storage tank’s structural integrity, potentially leading to costly and lengthy repairs. Also, when cracks are left untreated or unrepaired, bacteria can form and grow within the cracks and contaminate the contents of the storage tank. Welded steel tanks are highly customizable. They can be designed to meet any height, length or diameter, which gives companies flexible design options. Steel tanks may be easily painted with different colors and designed with multiple roof styles depending on a company’s structural needs. Aboveground storage tanks made from welded steel can be moved from its spot using a forklift or by other means. This is helpful especially when a company decides to transfer to another location, helping save on costs related to designing and constructing a new storage tank. Steel is recyclable, making it a sustainable material in aboveground storage tank construction. Companies that want to decrease their impact on the environment turn to recycled steel for water tank fabrication. Welded steel storage tanks are the economical storage option, especially for the food processing, petroleum, health care and agriculture industries. As indicated above, welded steel tanks have a longer life cycle and require very minimal maintenance and repair costs. 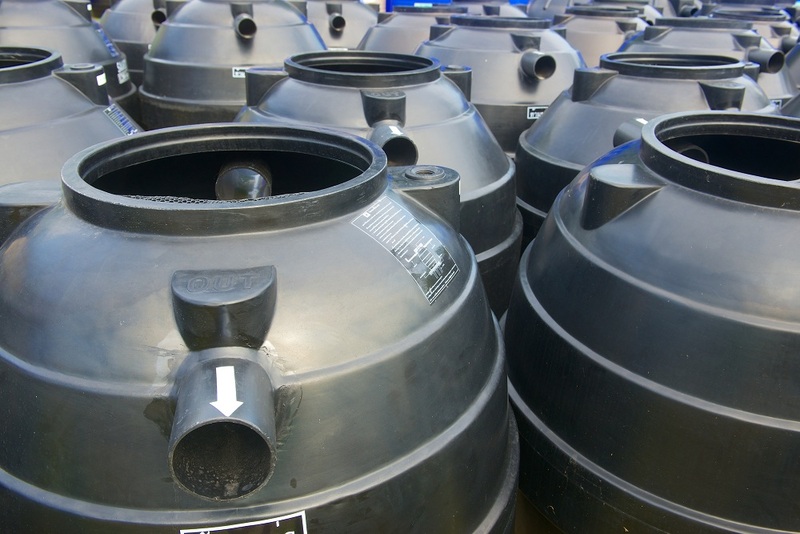 Welded steel tanks also keep liquid free from contamination and are more eco-friendly than other materials.